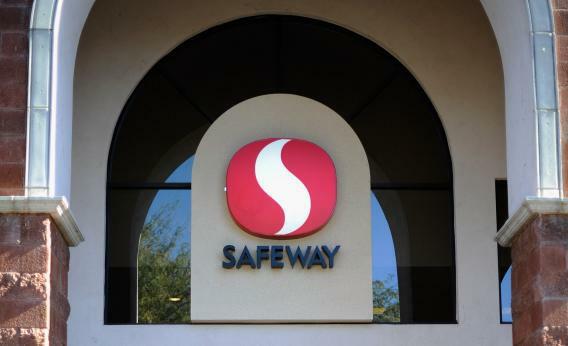 Safeway exec cracks misogynistic joke; employee who helped customer suspended. Photograph by Kevork Djansezian/Getty Images. The grocery store chain Safeway is having a bad PR week with women. On Tuesday, station KION reported that a Del Rey, Calif., Safeway employee has been suspended since last month, when he reportedly intervened after seeing a pregnant customer being abused by her boyfriend. “Every few seconds he would turn around and push her and then he actually kicked her. … I just became afraid for her safety and also other customers,” Ryan Young, a butcher, told KION. A local police chief supports his account, saying that Ryan “did the right thing.” But as of yesterday, he was still suspended without pay—and as he has emphasized, his own girlfriend is pregnant. Young’s plight isn’t the only reason why irate social media users are threatening to boycott the chain. The Daily Kos’ Kaili Joy Gray reports that at Safeway’s annual shareholder meeting Tuesday, senior vice president and general counsel Robert Gordon apparently made a joke that offensive to Hillary Clinton, Nancy Pelosi, women, Democrats, pigs, and anyone with a conscience. You know, this is the season when companies and other institutions are interested in enhancing their reputation and their image for the general public, and one of the institutions that’s doing this is the Secret Service, particularly after the calamity in Colombia. And among the instructions given to the Secret Service agents was to try to agree with the president more and support his decisions. And that led to this exchange that took place last week, when the president flew into the White House lawn and an agent greeted him at the helicopter. The recording is available on Safeway’s website. The joke occurs about one minute into the audio, just before Gordon officially calls the meeting to order. Safeway says it is examing security footage of the incident with Ryan. Unless there is compelling video evidence that the employee’s actions were wrong—and remember, he has the support of the police chief, who has presumably also seen the tape—the smart thing for Safeway to do would be to reinstate him and donate a lot of money to a shelter for abused women. Or perhaps what Safeway should do is demote Gordon to the meat counter—after all, his joke demonstrates that he likes pork—and elevate Ryan to corporate.